This letter was written by Robert M. Morton (1840-1910). 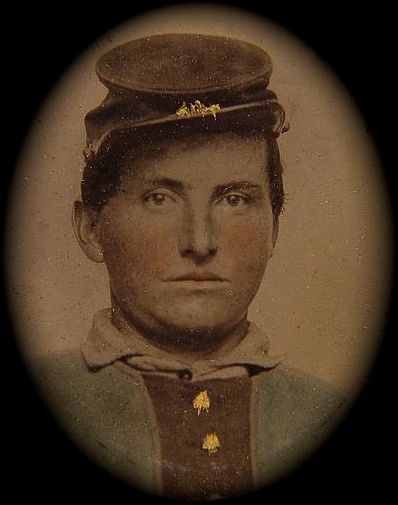 He served in Company B, 63rd Pennsylvania Infantry. 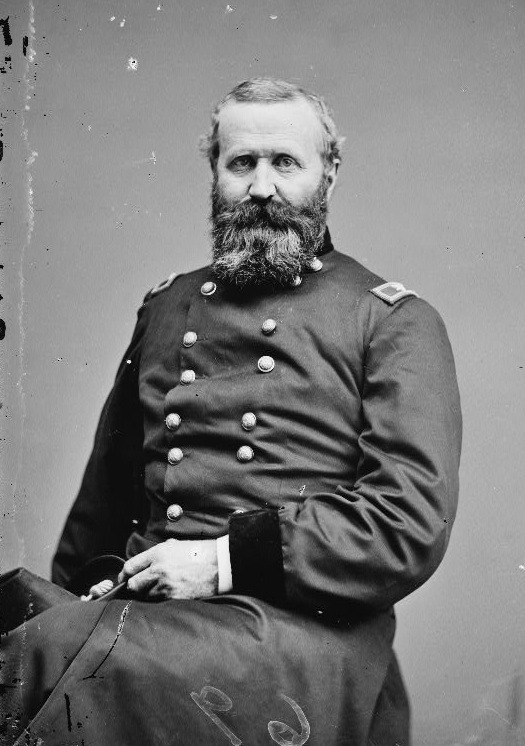 He mustered in 1 August 1861, was promoted to Sergeant Major, 3 July 1863, and mustered out with the company after three years. After the war he married Catharine Katie (1840-1908) and resided in Chicago, Illinois, where he made a living as a carpenter. Organized in the early part of August, 1861. Company B was composed of what was known as the Collier Guards, of Sharpsburg, a military organization which had done considerable drilling previous to enlistment, and a couple of squads of men from Deer Creek and Fairview, under command of Wm. S. Kirkwood, of the latter place. About the middle of August the company was placed in Camp Wilkins, the old fair grounds in Pittsburgh, where it remained until August 26th, when, with a number of others, it left the camp on a beautiful evening, marked down Liberty street, Pittsburgh, and embarked on cars and amid cheers of citizens and tearful farewells of friends and relatives, they left home for the front. The company arrived at Washington on August 28th and camped a short distance outside the city limits. Their first camp was known as Camp Sprague. On September 28th they crossed the Potomac and, landing at Alexandria, marched about two miles out the Leesburg Pike, where they encamped at what was known as Camp Shields. On October 14th they again moved, going across Hunting Creek to the farm of James Mason, on the Mount Vernon Road, and went into winter quarters at Camp Johnston, where they remained until March 17, 1862, when they embarked on transports for Fortress Monroe, where they began the memorable Peninsula campaign. Yours per the kindness of Mr. [Jacob] Kleinfelter I received on last Thursday. Really I don’t think for the reason that I had not in fact time to answer your previous letter that you should defer so long in answering when I did write. Now Mollie, tho’ a brother, yet let me here talk unto you like unto a father. Viz — do as I say, not as I do! Do right! Be prompt in not only answering my letters but all others which in your good discretion should seem to deserve an answer. And if in the future I should be dilatory in make a return for your kind letters, then charge me howsoever you will as an “unkind” and “heartless” brother — a brother indifferent, underserving of the attentions of a kind sister, &c. &c. Then of course I shall be unequivocally placed in a position of a suppliant for pardon at the foot of an attentive and unforgetful sister!! What think you? I am certain that however unpleasant such a state of affairs would be to you, to me it would be much more so! So Mollie, do write promptly and I here pledge you I shall not throw myself into such a predicament. I was glad to hear from Mr. Kleinfelter that you as well as the residue of the folks in Sharpsburgh were well and enjoying yourself (or selves, I should say) so well (or not to repeat words so much!) so hugely. I am well but with all quite dull and stupid, but I can assure I am no worse than the rest of the boys. Nothing new. Nothing doing, and the weather continually raining damp & rheumatic. A goodly number of the boys are of late complaining of rheumatics but thanks to me good constitution, I as yet know them not. Nor do I know how long I shall have the pleasure of saying thus much. I only hope I can say as much for at least “3 years or during.” Rheumatism is the soldier’s dread. Alexander Hays, colonel of the 63rd Pennsylvania. He was killed in the Wilderness. Mollie, I am much obliged (exceedingly) for your kindness in forwarding the “beautiful card.” — “Jennie R. Graham” ² — Handsome card. Handsome name and last but much the more, handsome is the lady who bears the name! I had not forgotten Miss Jennie most certainly!! Mollie, do please indite to the lady my compliments (with your nimble, unbashful pen)! I should like to present them direct, but I’m skeered!! Do you not think it would be “presumption” in me to write her? What say you? Also compliments of Sam’l Henry ³ to Miss Graham & Miss Morton. Please pass them on to Butler. Miss Joe Gilliam starts for home on tomorrow in company with Mrs. Col. Alec Hays. Josie has served his country (just 3 months) most faithfully. No more room but one thing more to ask. Send me your prettiest ambro[type]. Then I shall send you mine. Farewell from your brother. ¹ Jacob Kleinfelter was discharged from Company B in 1863 on a surgeon’s certificate. ² Rebecca Jane (“Jennie R.”) Graham (1838-1891) was the daughter of Joseph Graham (1794-1880) and Margaret Balph (1805-1890) of Butler, Butler County, Pennsylvania. She married Thomas Randolph McConnell (1836-1913) in 1866. 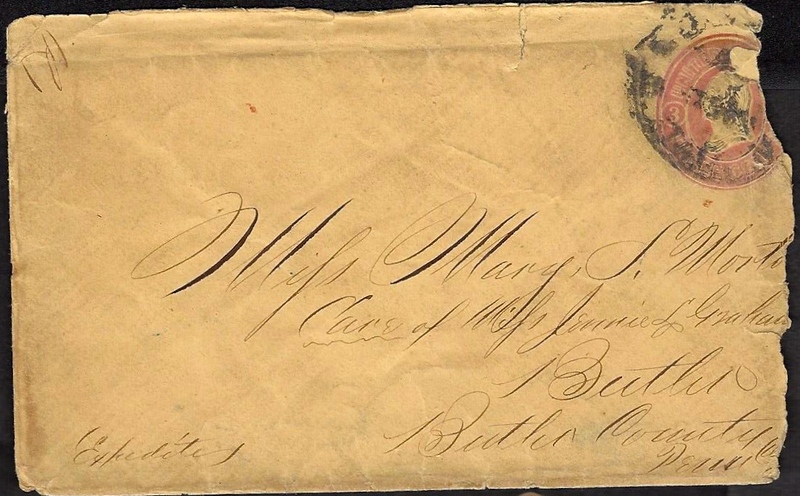 ³ Samuel Henry mustered in as a private in Company B on 1 August 1861. He was promoted to corporal and mustered out with the company. He died at Beaver, Pennsylvania on 11 March 1901. This entry was posted on Wednesday, July 9th, 2014 at 4:02 pm	and posted in Uncategorized. You can follow any responses to this entry through the RSS 2.0 feed.